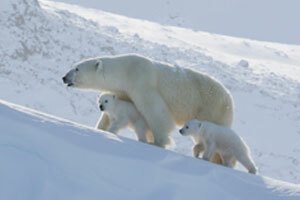 Arctic Kingdom says its new website makes the Canadian Arctic easier to explore. The tour operator says dramatic landscapes, unique wildlife, culture, and bucket list experiences await those who visit the Arctic. The site has a new travel agent section that includes tools and information to help agents inspire their clients; enhanced search helps guests plan a bucket list adventure with ease; featured video and photography, and mobile-friendly design allow travellers to explore the Arctic from anywhere; and an interactive map allows users to discover lesser-known areas of the Arctic and all the experiences available, including witnessing the Northern Lights and viewing polar bears up close, 10 months a year. Go to http://www.artickingdom.com for more information.